There is more status associated with having a career than a job. 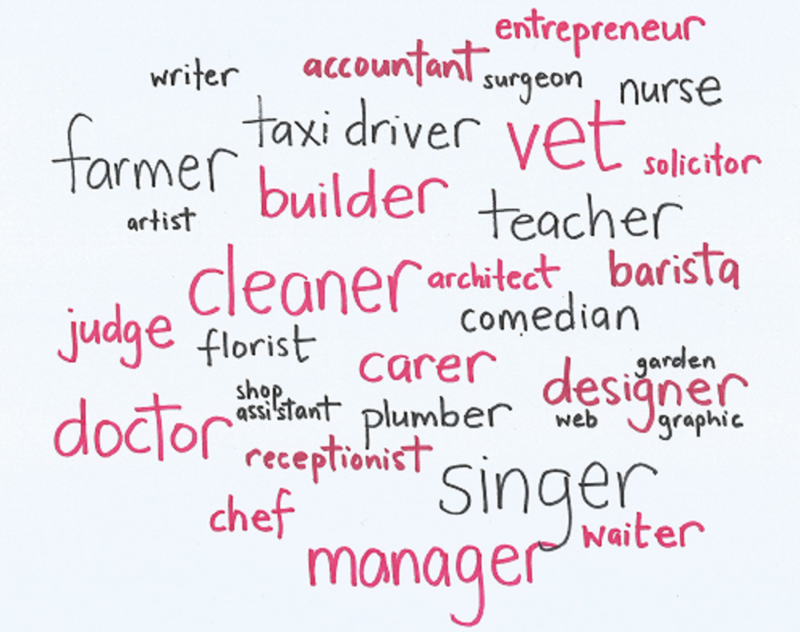 When asked what you do, saying “I’m a nurse”, “I’m an architect” or “I’m an accountant” carries more social status than “I’m a cleaner”, “I work in a call centre” or “I work in a shop”. The notion of a career being superior to a job is probably to do with ideas of personal fulfilment, satisfaction, contribution to society and achievement of potential. A job is often thought of as something someone simply does for the money rather than gaining any intrinsic satisfaction from it. This thinking is challenged by the strengths movement which, instead of thinking about jobs versus careers, thinks about the level of satisfaction in one’s work. Working in a call centre could be considered ‘just a job’. So could working in a coffee shop or as a delivery driver. But actually, what we’ve discovered in our work with many people in all sorts of organisations is that there are people in all of the aforementioned roles who actually love their job and say things like, “I can’t believe I get paid to do this”. The point is, everyone has strengths, so it makes no difference whether you call your work a job or career. What matters is that you get to love what you do every day. My new book, The Strengths Book: Discover How to Be Fulfilled in Your Work and in Life, will help you discover YOUR strengths and the route to fulfilment at work for you.